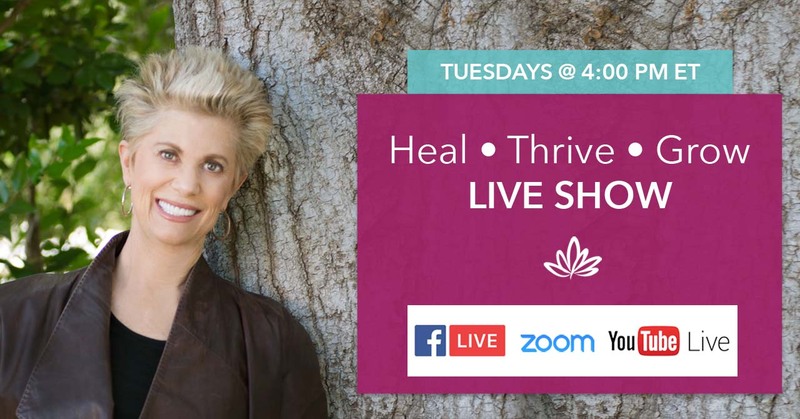 Heal • Thrive • Grow | Tune In To Deborah's Weekly Show! tuned for that announcement and the return of our live show. Meet Deborah, ask her your personal question on video, and engage in a weekly transformational experience. Connect with like-minded individuals from around the world and share your own story on our new interactive platform. Join the global movement of awakening that’s happening all around you. The Heal • Thrive • Grow weekly live show is going on a temporary hiatus as we prepare to launch something very special in May. Stay tuned for that announcement and the return of our live show. PARTICIPATE LIVE: Join the conversation, work with Deborah, and experience our new interactive platform. Join Deborah on Zoom – early registration always available. WATCH LIVE: Watch the broadcast on Deborah’s Facebook page, every Tuesday at 4pm Eastern, 1pm Pacific. WATCH LATER: View the video recording on Deborah’s YouTube Channel. GET REMINDERS: Signup below for weekly reminders, 15 minutes before the show. Using your mobile device? Download the App! Now you can bring Heal • Thrive • Grow with you on the go. Join and participate live, watch the replays, and stay up to date on all of Deborah’s latest teachings and important announcements with the ZOOM App. Click here to download.